Rob Rode is a nationally and internationally recognised specialist criminal defence solicitor. He is an acknowledged specialist fraud (white collar) and regulatory defence solicitor. He is described in one of the leading guides to the profession as “like a terrier that never stops digging”. Rob is a supervisor on the Specialist Fraud Panel set up by the Legal Aid Agency. He is a higher court advocate. He represents individuals and companies in the UK and abroad facing investigation/prosecution under the Bribery Act or multijurisdictional legislation including FCPA. He has experience of dealing with prosecution authorities across a number of jurisdictions. Rob undertakes fraud defence, regulatory defence, white collar defence involving international/cross-jurisdictional issues, defence of tax /VAT fraud, motoring and general criminal matters with (again, according to a leading independent guide) “a certain panache”. Rob has acted as defence solicitor successfully in numerous cases defending historic and present day sexual offence allegations. He also has a particular interest in defending allegations of serious violence and murder. He is tactically astute and will ensure that when appropriate a pro-active defence is pursued in all cases. 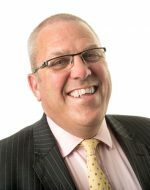 Rob trained at Irwin Mitchell and joined the firm in 1998 becoming a partner in 2002 and senior/managing partner in 2013. He was chairman of the Serious Fraud Association and is a member of SAHCA, POCLA, CLSA, the International Criminal Bar, The American Bar Association and a member of the criminal duty solicitor defence scheme. Chambers 2016:- “He is remarkably “hands on”. He has a great presence in this area (financial crime) according to sources who add that he thinks outside the box and always provides good service to his clients. He is extremely proactive”. Legal 500 2015:- ranked as a Leading individual. Chambers 2015:- Rob is “very talented and hardworking and always keeps his client’s best interests at heart”. Chambers 2014:- Rob is “excellent” a “very shrewd operator”. He is “an extremely impressive and dynamic team leader who “combines fearless tenacity with an exceptionally personable attitude”. He is “an experienced charismatic fraud lawyer”. Legal 500 2014:- Rob is at the “Forefront of Criminal Law”. Chambers 2013:- Rob is “a tour de force – an ambitious, energetic and thorough lawyer”. He is known for his work in the defence of business crime allegations. He is a national figure, a leader in the field in Leeds and nationally. A power broker who is held in extremely high regard” reports the bar. Legal 500 2013:- Ranked as a leading individual. Chambers UK 2012:- Rob Rode is “reliable and astute”. Legal 500 2011:- Rob Rode is “exceptionally approachable and easy to work with”. Chambers UK 2011:- Commentators regard Rob Rode as “the kind of lawyer who can do everything that is expected and also adopt a client friendly approach”. Chambers UK 2010:- Rob Rode is “a very forward thinking lawyer who always does a fantastic job”. Acting on fraud, regulatory and general crime cases we are ranked highly in leading independent research publications and our discerning clientele reflect our reputation. Prosecutions and investigations of all kinds are defended at all stages of their progress by our experienced team of criminal defence lawyers. We are a progressive practice ensuring independent representation for all our clients. We maintain excellent professional relationships with others barristers, solicitors and expert witnesses seeking justice for our clients. The team uses its immense experience of investigations and prosecutions to advise personal and commercial clients in a tactically astute matter. Acting on fraud, regulatory and general crime cases we are ranked highly in leading independent research publications and our discerning clientele reflect our reputation.